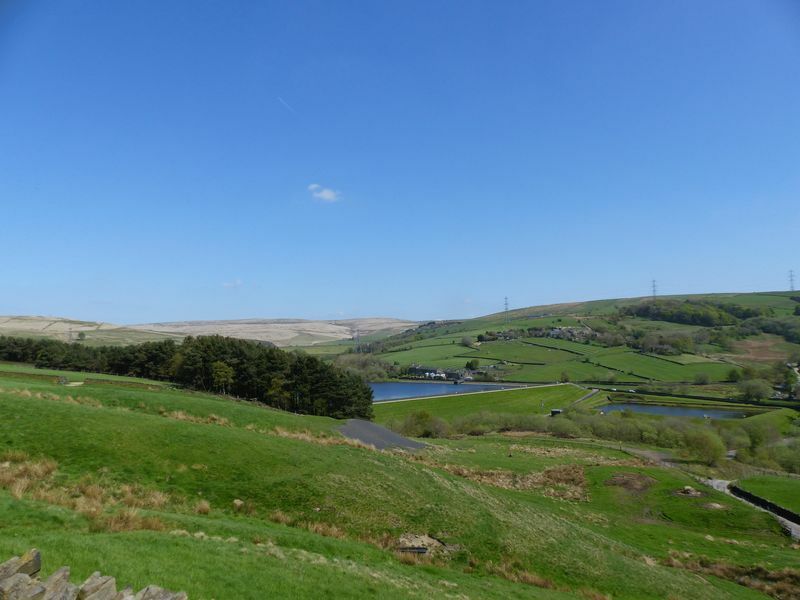 ** SOLD WITHIN 28 DAYS by Cornerstone Estates** 360 degrees of breathtaking views over Ogden Reservoir and surrounding farmland are the main attraction of this stunningly presented home. 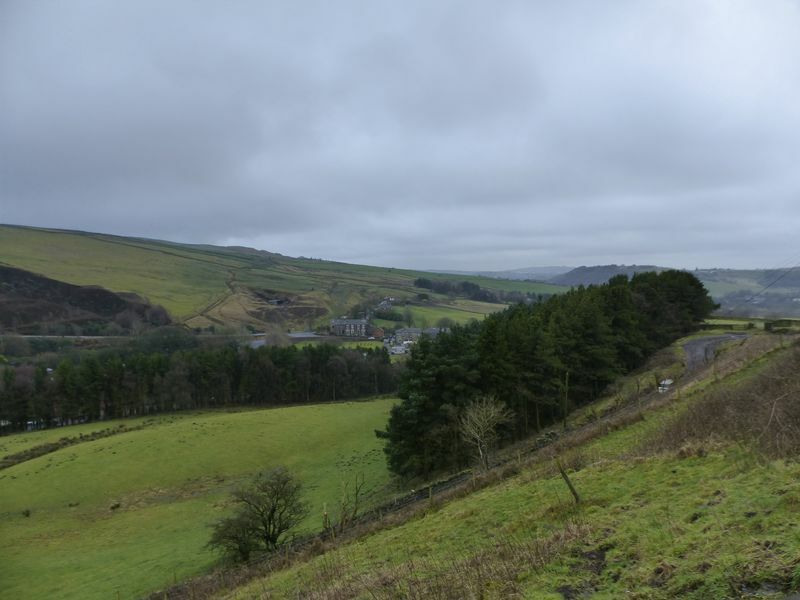 Get the best of both worlds with rural living just a short drive from Newhey providing access to the M62 and Metrolink station. 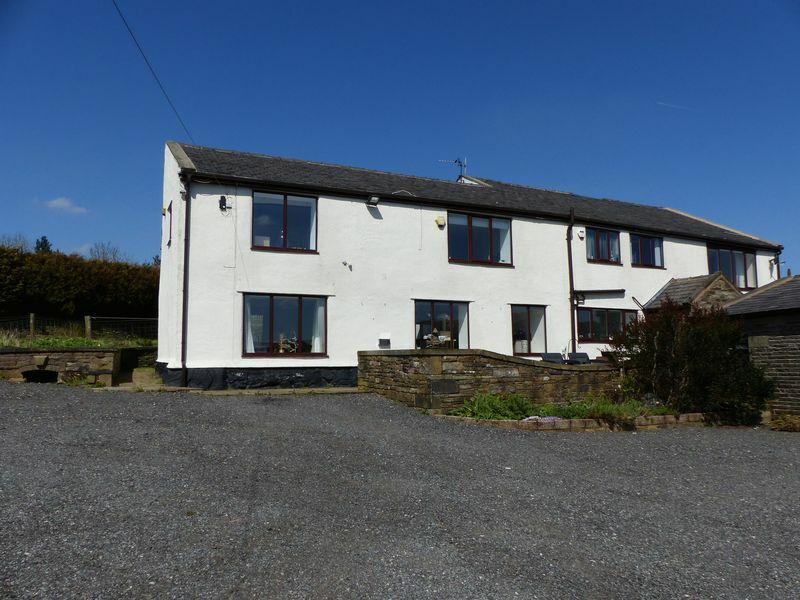 Spacious family accommodation with the ground floor briefly comprising large living room with picture windows overlooking the reservoir, separate sitting room / snug, dining room, large fitted kitchen featuring a five oven Aga, leading to the open plan living area, downstairs guest wc, utility room, storage and back porch. 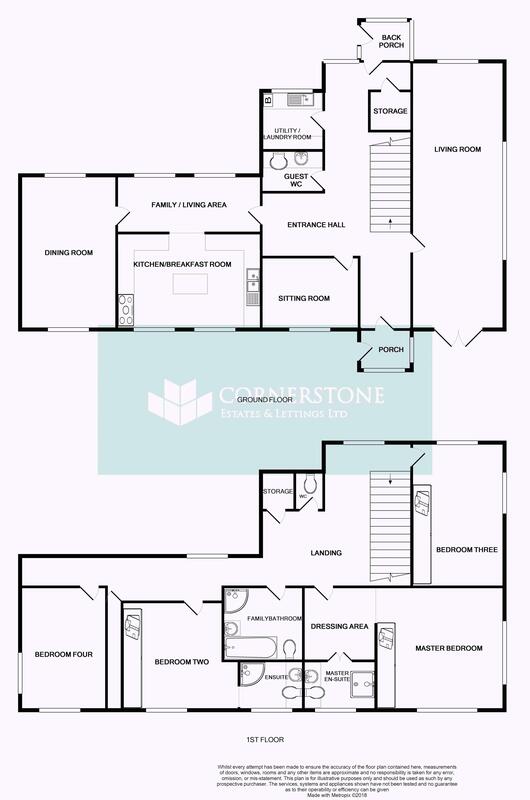 To the first floor are 4 bedrooms, 2 benefitting from ensuites plus a family bathroom, separate wc and storage. 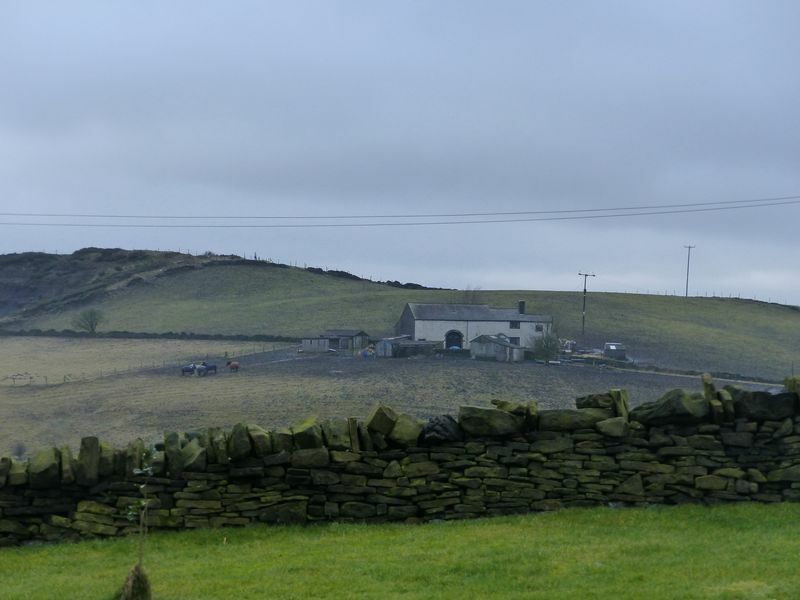 Sitting on a sizeable plot of land this farmhouse also benefits from a separate building that has potential for use as stables, kennels or indeed a separate bungalow. 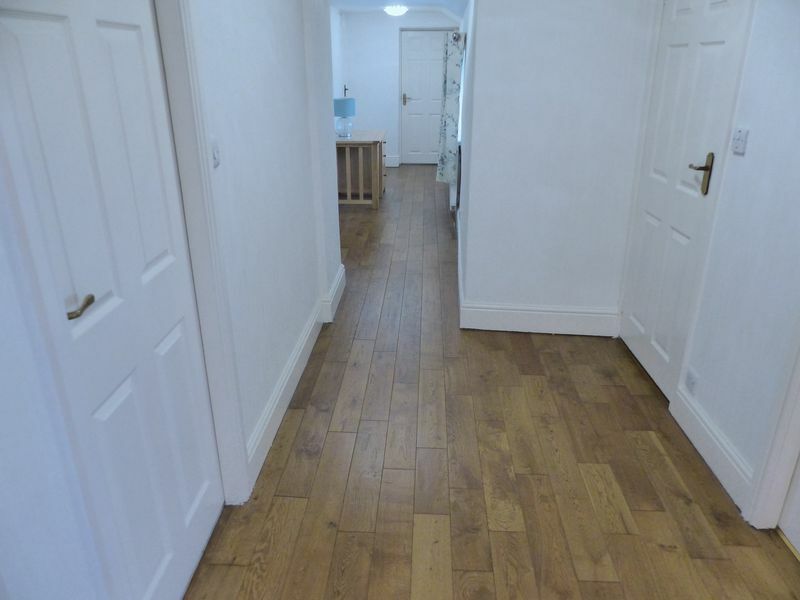 Tiled floor, double glazed window and door leading to entrance hall. 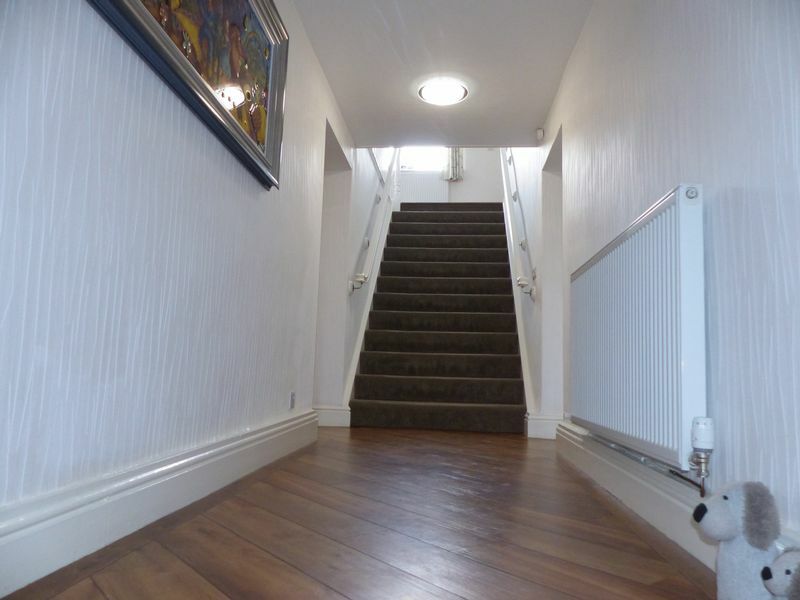 Welcoming entrance, with hard wood flooring and carpeted stairs leading to the first floor. 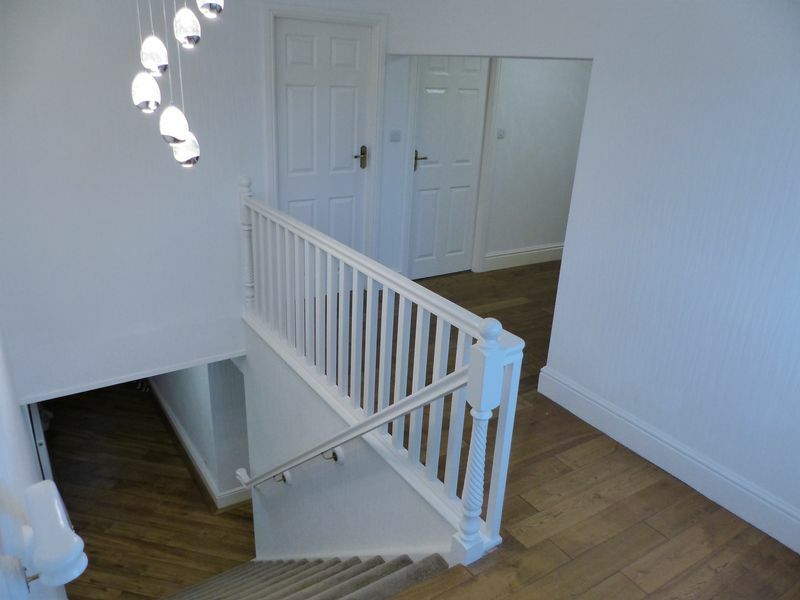 The Entrance hall has a door leading to the living room and leads to a corridor with doors off to the remaining areas of the ground floor. 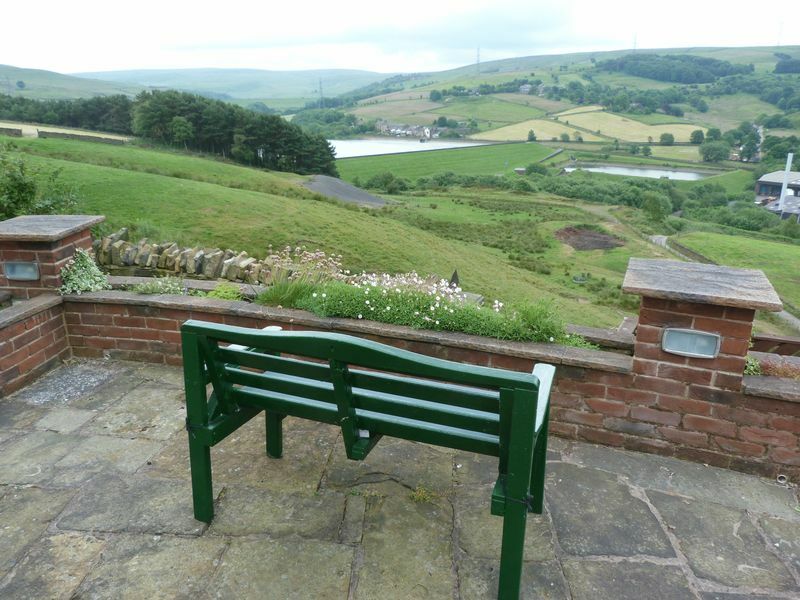 This vast living room is beautifully presented and has a double glazed window to the rear with a large picture window to the side offering unrivalled views of the surrounding farmland and Ogden Reservoir. To the front are double glazed French doors leading to a patio area. Two Radiators. 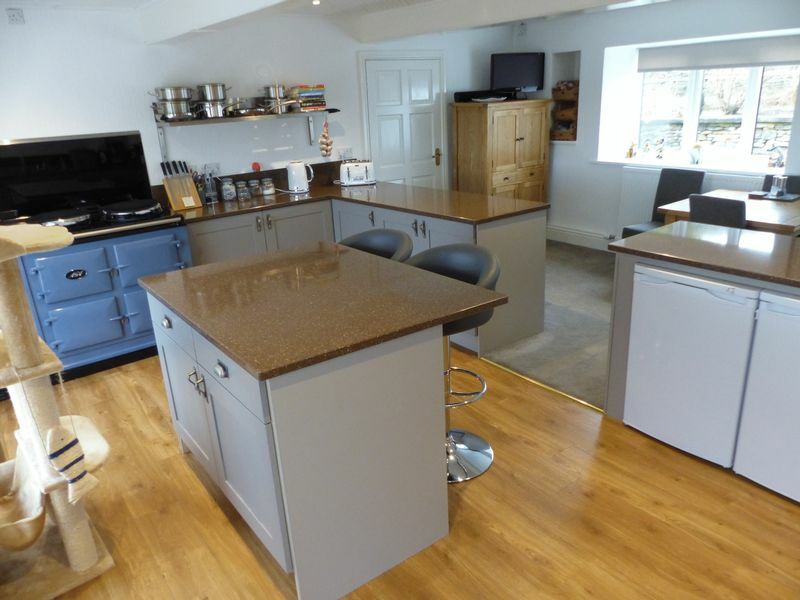 Incredibly spacious Kitchen/Breakfast Room which is fitted with a range of modern units with complimentary worktops. 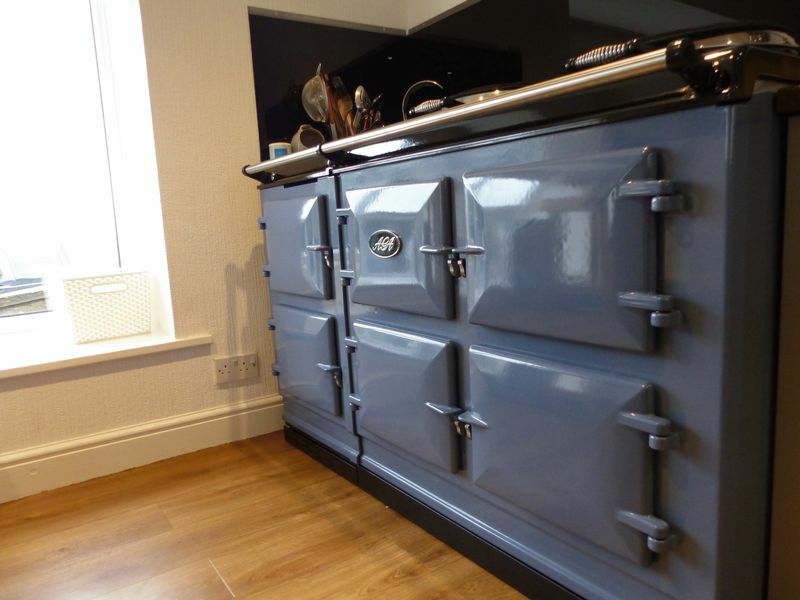 Integrated dishwasher, space for free standing fridge and freezer, and the luxury of a 5 oven Aga. 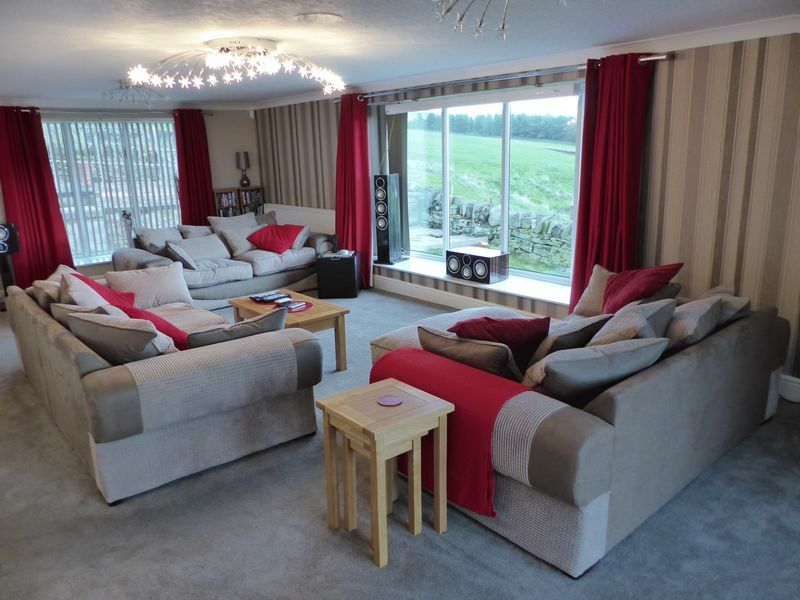 Two double glazed windows to the front with outstanding views provide a light space. The Kitchen has an open aspect to the Family/Living Area. 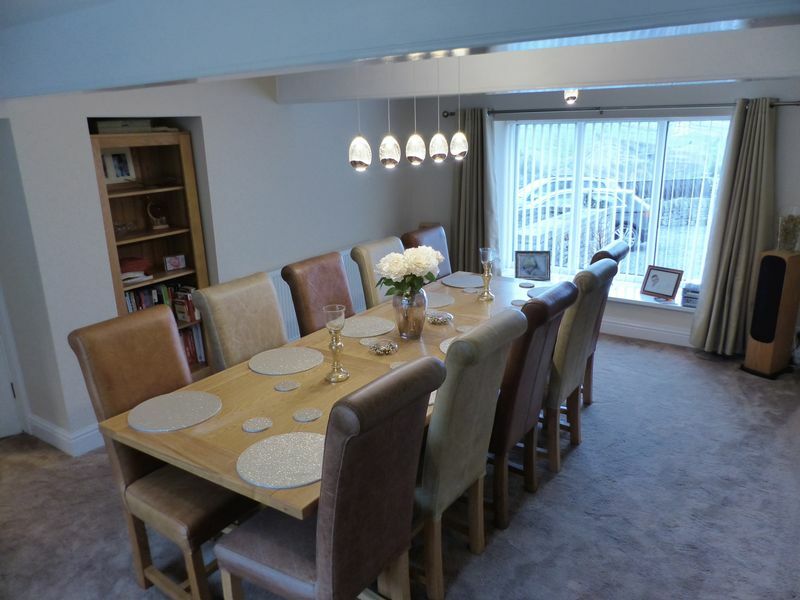 Open plan from the Kitchen/Breakfast Room this great space is ideal for the 'social' family. Radiator and two double glazed windows to the rear. 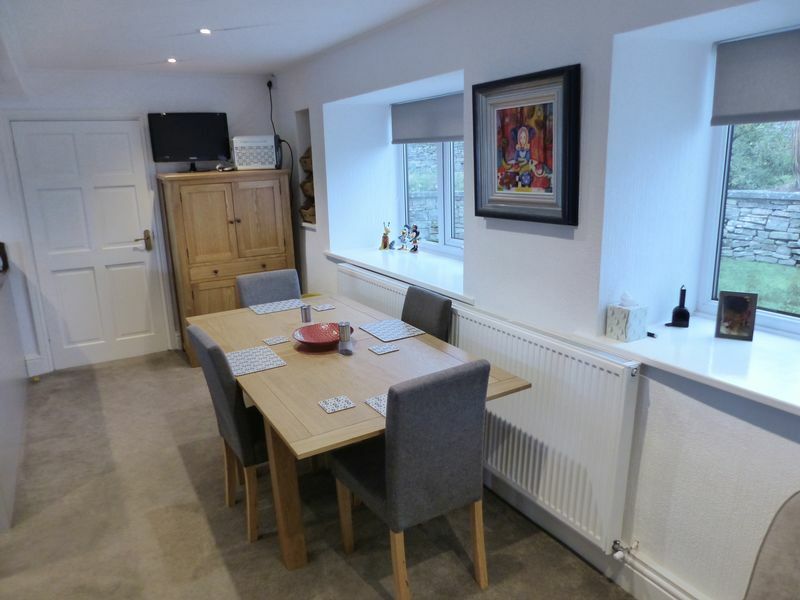 Fantastic entertaining dining room with double glazed windows to the front and rear, with inset shelving. 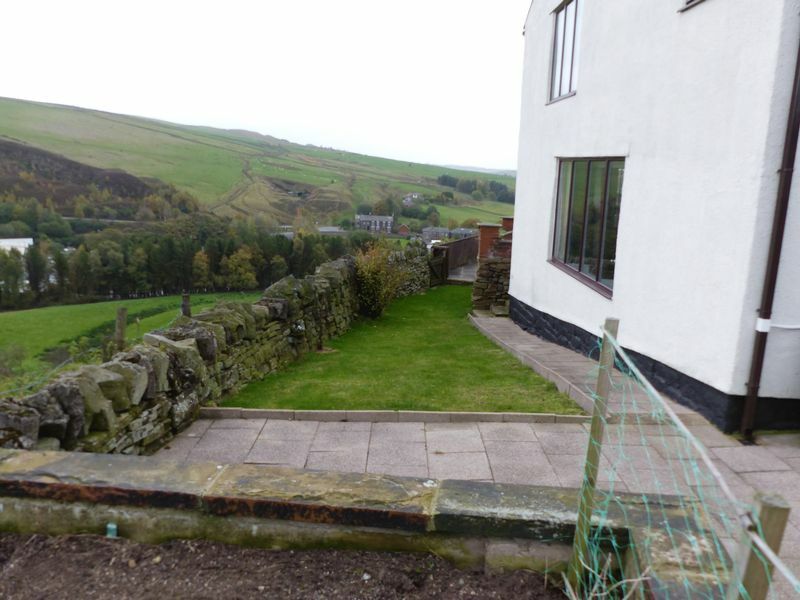 Situated to the front of the property with a double glazed window and radiator. Tastefully decorated for a tranquil space. 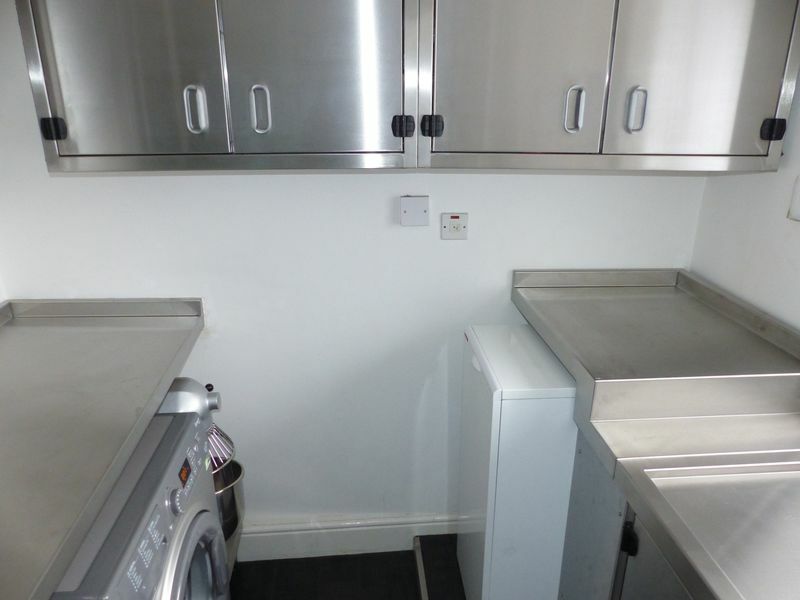 Situated off the Hallway this Utility Room has a double glazed window to the rear and is fitted with stainless steel units incorporating a single drainer stainless steel sink. Plumbed for a washing machine. The central heating boiler is also housed in this room. 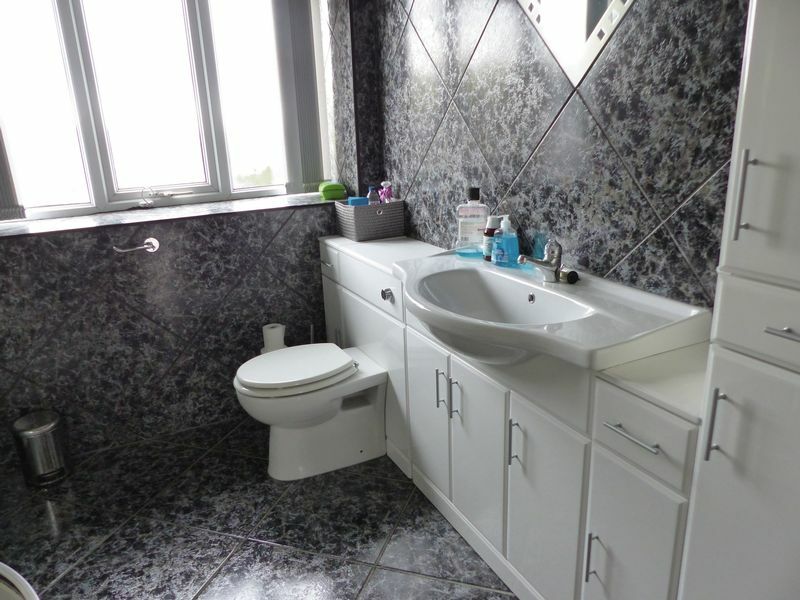 Fitted with a modern vanity unit incorporating a sink, low level w/c and storage cupboards. Wall mounted towel rail. Some tiling to the walls. 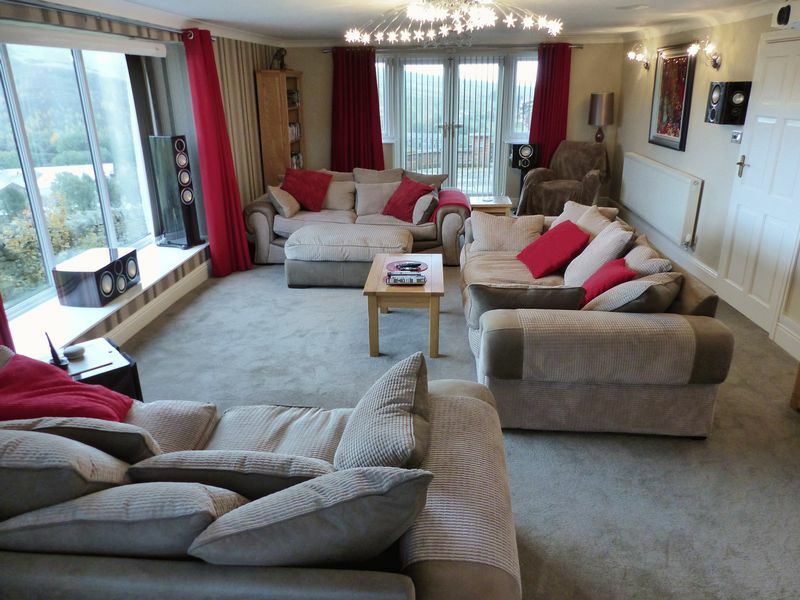 Large landing area with radiator and double glazed windows to the rear. 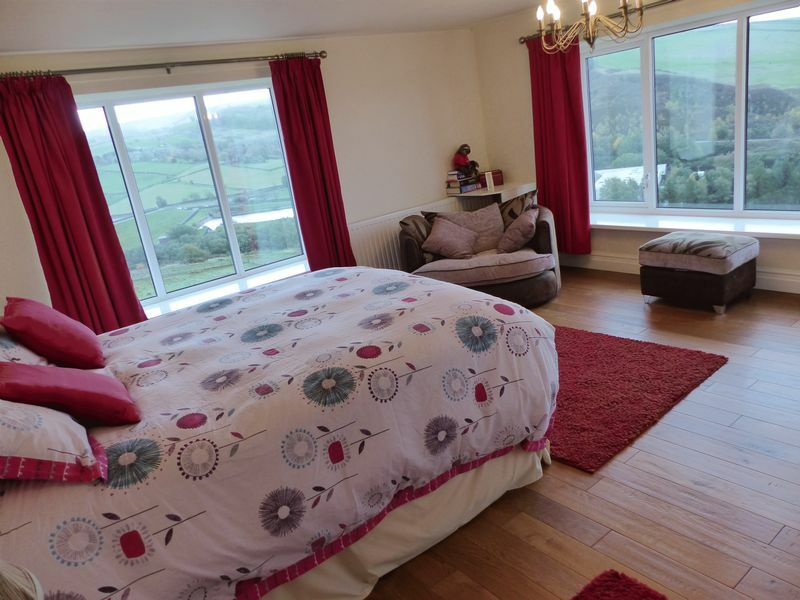 This extremely spacious bedroom has double glazed windows to the front and side elevations and a range of fitted wardrobes. 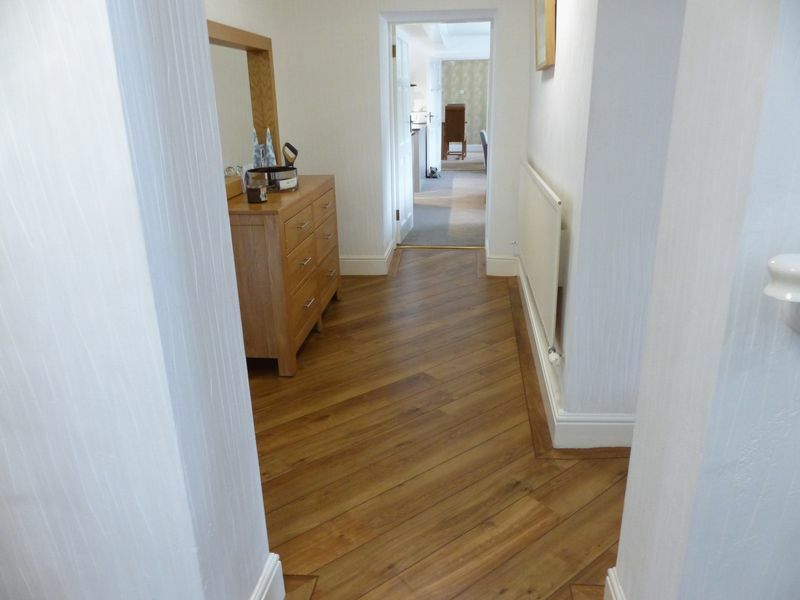 From the Landing, entrance is gained to the Master Bedroom via the Dressing Area. 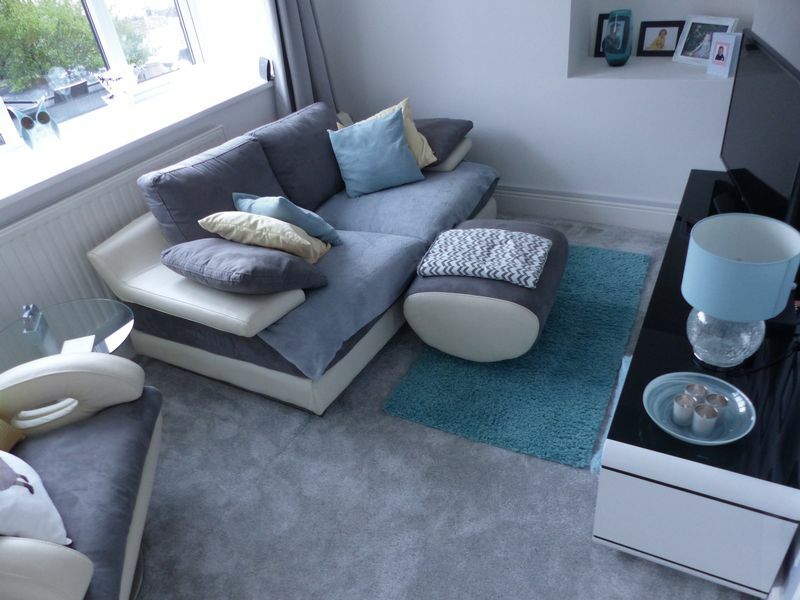 Fitted with a range of wardrobes/storage, two of the wardrobe doors open to the give hidden access to the En-Suite. The Dressing Area is then open to the Master Bedroom. 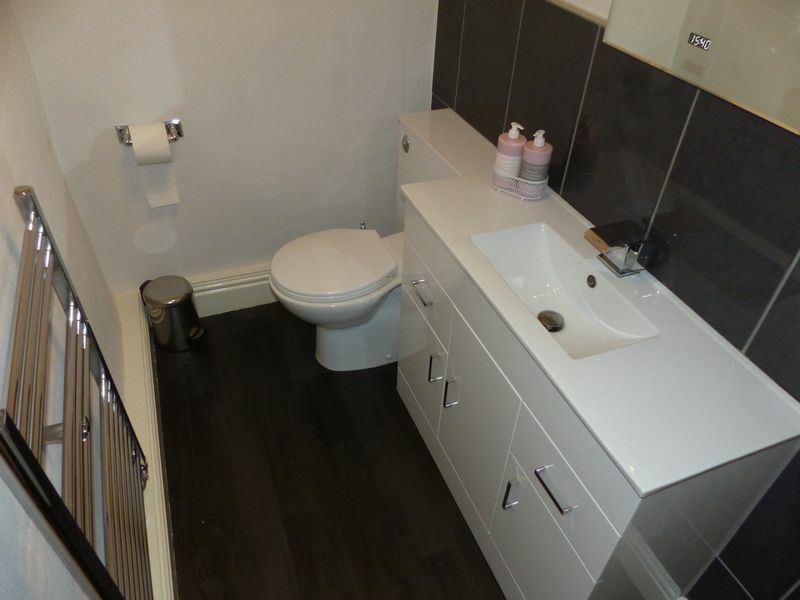 Fitted with a vanity unit incorporating sink, low level wc and storage. 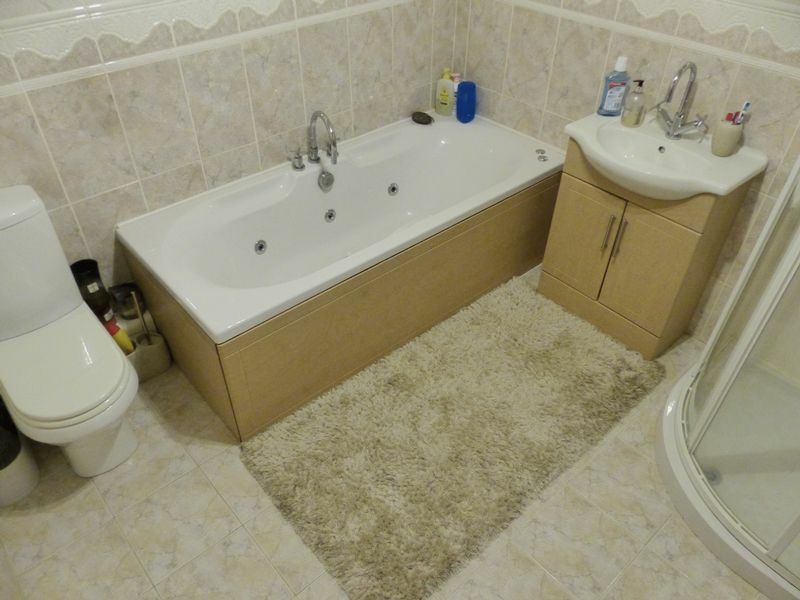 There is a large shower cubicle / steam unit with seating for two and heated towel rail. Tiling to the walls and floor. Double glazed window to the rear. 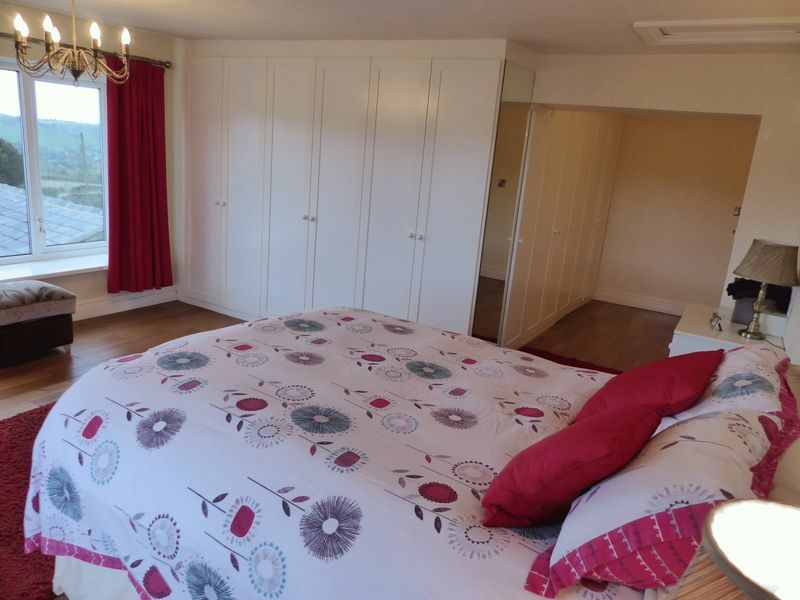 This second bedroom has a range of fitted wardrobes and storage, double glazed window to the front and a radiator. Archway leading to the en-suite. 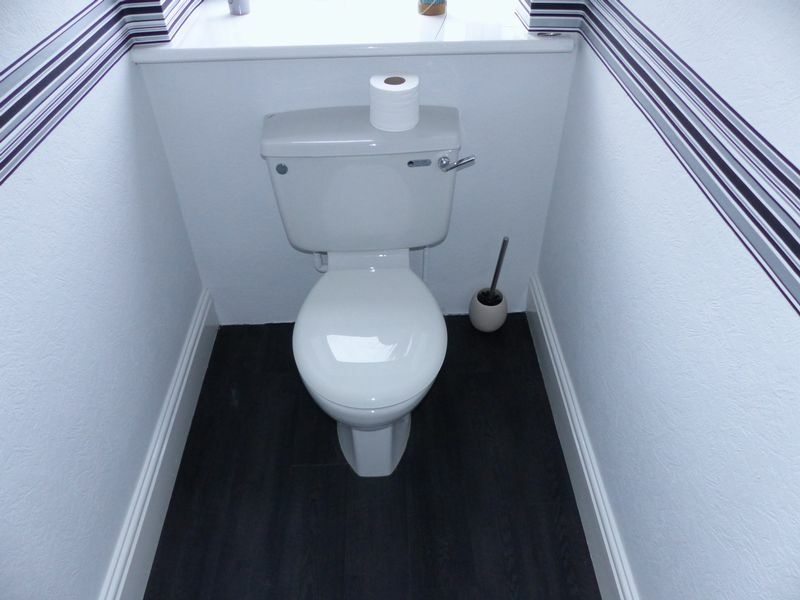 This En-Suite is fitted with a three piece suite comprising fitted vanity unit which incorporates the low level w/c, sink and storage and a corner shower unit. Tiling to the floor and walls with a wall mounted heated towel rail and double glazed window to the front. Another large bedroom with double glazed windows to the side and rear. 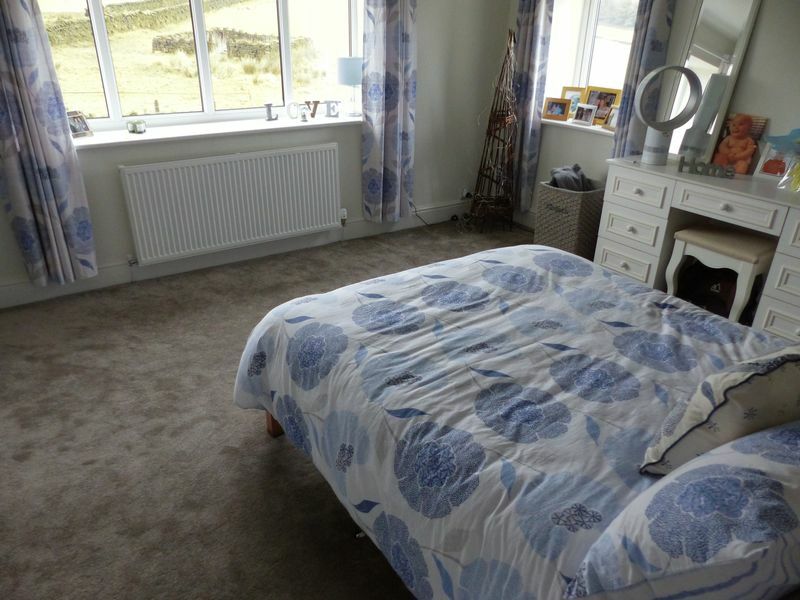 A range of fitted wardrobes and a dressing table and radiator. 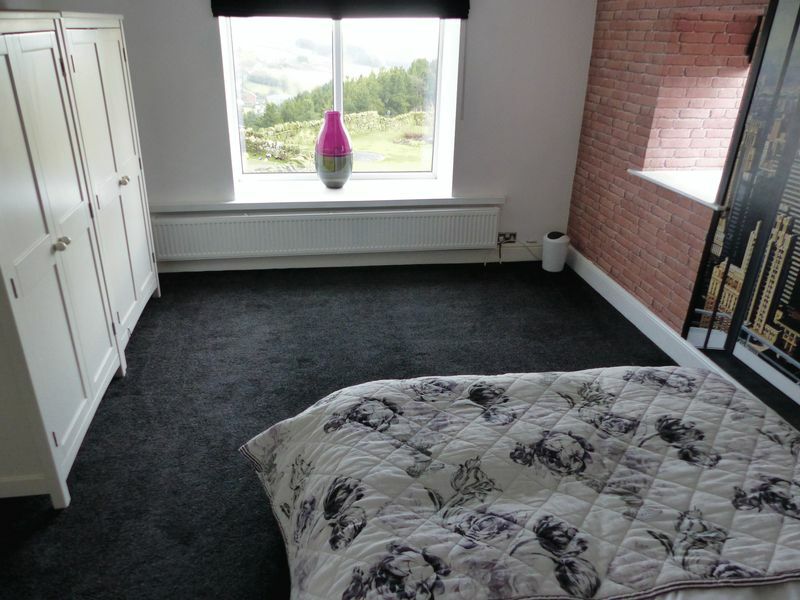 This fourth bedroom has a double glazed window to both the front and side elevations plus a radiator. 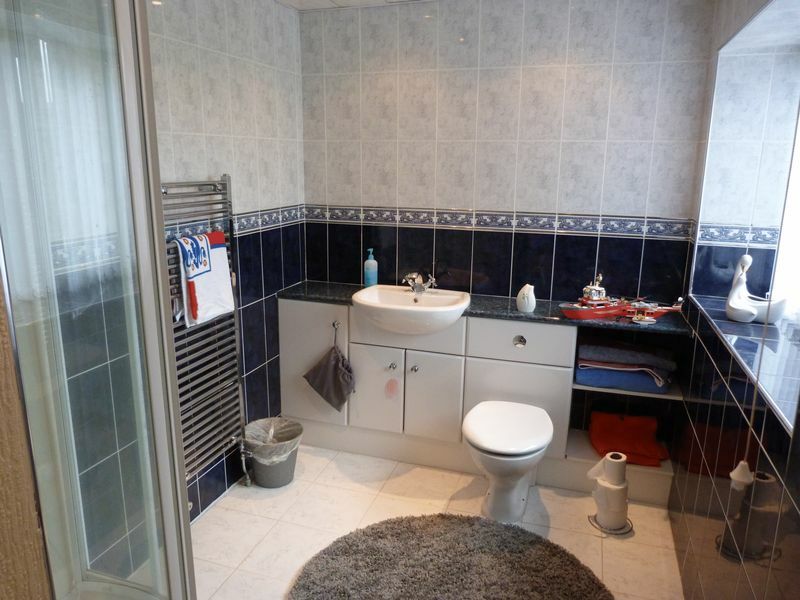 Spacious Family Bathroom benefitting from a four piece suite comprising panelled bath, corner shower unit, vanity sink unit and low level wc. Tiling to the floor and walls plus a wall mounted heated towel rail. Fitted with a low level wc and double glazed window to the rear. Accessed from the Landing is this rather spacious storage cupboard. 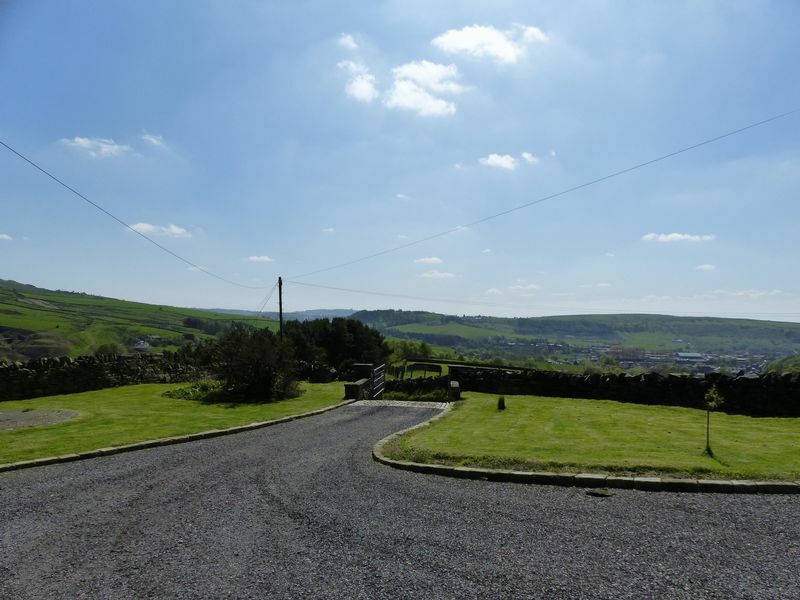 This wonderful addition to an already spacious property boasts two rooms and a further sun room. Double glazed windows to the front and rear. 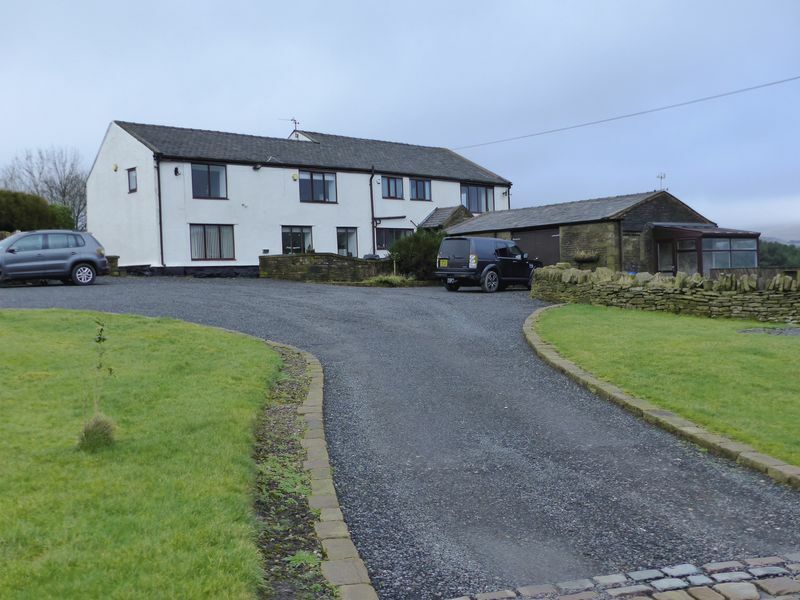 Set on a sizeable plot (approximately one acre - to be confirmed by solicitors) this Detached Farmhouse has a large sweeping driveway to the front with space for several cars. 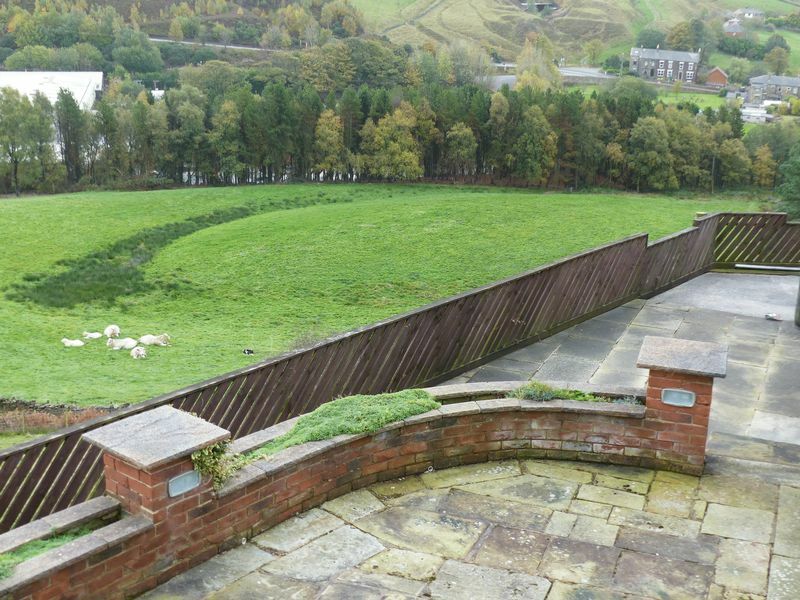 Surrounding gardens offer stunning views to every aspect and each window in this hope offers a different viewing experience.